Headquartered in Dallas, Texas with offices throughout the country, Mente Group is a leading business aviation and advisory company specializing in aircraft transactions, talent management, asset management, and strategic, operation and technical consulting. Mente serves large corporations, growth companies and private individuals worldwide. Its advisors have handled $10 billion in aircraft transactions and performed more than 500 business jet consultations. Mente Group was founded on the philosophy that our clients will get sound aviation representation based on comprehensive strategies that mitigate risk and maximize value. Clients looking to understand their aviation options, purchase or sell business aircraft or source technical and operational consulting need to look no further. Mente Group has decades of experience partnering with clients from around the globe to bring aviation plans to life. For more information about Mente Group, call our Dallas office at 214-351-9595 or visit our website at www.mentegroup.com. SCF Aviation Capital, part of Stonebriar Commercial Finance (SCF), is an aircraft leasing and financing platform that provides customized capital solutions to owners, operators, dealers and manufacturers of business and commercial aircraft worldwide. SCF is a privately held commercial finance company established in 2015 and based in Plano, TX. With financial backing from Security Benefit Corporation, SCF actively originates and manages a multi-billion-dollar platform of commercial loans and leases. SCF specializes in transactions for businesses in a wide variety of industries (aviation, rail, realty, marine, transportation, manufacturing, energy, etc.) across the entire credit spectrum with assets located throughout the world. AIC Title Service is the industry leader in providing comprehensive Aviation Transaction Management Services to both professionals and individuals that ease access and affordability to Title Search, Escrow, FAA Document Submission, International Registry Services, Lien Clearance and 1031 Like-Kind Exchanges. The suite of services includes our trademark Transaction Tracker which allows you to track the progression of each step of your transaction in real time. Boeing Business Jets brings the best of commercial aviation into the realm of private air travel, offering customers a wide range of Boeing products that can be uniquely customized for the private, business or governmental sectors. The robust characteristics of these airplanes also provide an excellent value proposition when outfitted for the private market; offering larger, more personalized space, unmatched reliability and worldwide support. Our customers put a high premium on quality, convenience and mobility. Most often, they want access to the same amenities in the air as they have on the ground including an office, bedroom, shower, dining facilities, entertainment areas and more. And Boeing Business Jets can deliver it all. Headquartered in Montreal, Canada, and with operations in Mexico, Morocco, United Kingdom, United States and Canada, Bombardier boasts a strong heritage and visionary innovation dating back to the start of civil aviation -- spanning some 110 years -- and is recognized globally as a leader in the design, manufacturing and support of both business jets and commercial airliners. The acquisition of Canadair in 1986 was the first of several strategic moves that would see Bombardier consolidate leading aircraft design and manufacturing experience from around the world. In the following six years, Bombardier grew in strength and stature by acquiring in 1989 the world’s first aircraft production company -- Northern Ireland-based Short Brothers -- followed by Learjet of Wichita, USA, in 1990, and de Havilland Canada in 1992. Bombardier Business Aircraft currently offers the broadest portfolio of business jets with its popular Learjet*, Challenger* and Global* aircraft families. In their respective segments, the Learjet 70* and Learjet 75* aircraft feature superior cruise speeds, high climb rates and operating ceilings, and competitive operating costs. In the medium category, the class-defining Challenger 350* and the Challenger 650* offer industry-leading cabin design and amenities as well as performance and reliability attributes synonymous with the Challenger family. nautical miles, respectively, and top speeds of Mach 0.90. Then, on Dec 20, 2018 -- following type certification by Transport Canada and the U.S. Federal Aviation Administration, Bombardier celebrated the entry-into-service of its pioneering Global 7500. The only purpose-built, four-compartment cabin specifically designed to deliver uncompromising levels of range, speed and cabin comfort, the Global 7500 establishes a new standard in business aviation. Bombardier supports customers globally through a network of field service personnel and a combination of wholly owned and authorized MRO facilities. On Oct 3, 2018, Bombardier announced another wave of MRO growth with a new 300,000-sq-ft service center at Miami-Opa Locka Executive Airport to be operational in 2020, following on newly operational Bombardier service centers in Biggin Hill, U.K., and in Tianjin, China. This global network also includes 24/7 customer response centers, mobile parts delivery services and spare parts depots. From the cockpit to the cabin, connectivity to flight operations, business aviation customers rely on Rockwell Collins to help pilots navigate safely and reliably. The recent addition of our wide range of cabin interiors broadens the possibilities for a cabin filled with connectivity, comfort and entertainment. With broadband-style connectivity that moves at the speed of your business to intuitive and mobile solutions for flight operations, Rockwell Collins is leading the way in managing the complex operations and expectations of a business jet operator through our ARINCDirectSM flight support services. We look forward to seeing you at this year’s Corporate Jet Investor to speak more about how our solutions can transform your flight experience. Rockwell Collins have acquired ARINC in late 2013. •	FAI Aviation Group consists of the companies FAI rent-a-jet, Fly Alpha, and FAI Technik which all are headquartered at Albrecht Dürer International Airport in Nuremberg, Germany, where FAI runs a company owned, carbon neutral 14,000 m² FBO. •	Founded in 1986, the Group is owned by Axtmann Aviation Holding GmbH, which is a Joint Venture of German´s Axtmann Holding AG and Bahrain´s Sovereign Wealth Fund Mumtalakat. •	FAI operates the largest fleet of business jets in Germany currently 24 jet aircraft + 1 Turboprop including four Global Express, six Challenger 604s, eleven Learjet 60s, two Learjet 55s, 1 Premier 1A and one King Air 350. The fleet has logged more than 13,000 hours of airtime in 2016. •	The company is the largest Learjet operator outside of the Americas and most probably the world´s largest air ambulance fixed wing operator by revenues. •	FAI also specializes in air support in hostile areas for the world´s largest NGO. •	“FAI Technik GmbH” offers a full range of MRO services including: Aircraft-Maintenance (Line + Base); Modifications; Interior-Refurbishment (all levels); Storage-Preservation; Hangar-Parking; Return-Inspections and Evaluations. FAI Technik is EASA Part 145 approved and also holds approvals from Cayman Islands and Bermuda. FAI Technik’s Hangars can accommodate B737-800 and Airbus A320 aircraft. •	FAI Aviation Group employs ca. 200 full time staff, including 60 qualified technicians plus ca. 50 part time physicians and paramedics. •	FAI operates satellite offices in Dubai and Miami, as well as line stations in Bamako and Dakar. •	FAI is a member of GBAA, EBAA, MBAA, AFBAA and Eurami. GE Aviation is committed to providing leading propulsion systems for business and general aviation (BG&A) customers around the world. We provide jet engines for small and large cabin business aviation aircraft and turboprop engines for BG&A operators. We are passionate about customers and the flexibility, access and productivity their flight operations bring to remote communities, commerce, recreation, agriculture, medical missions, pilot training, and humanitarian aid. GE has a global service network to support these offerings. GE and its customers are also working together to unlock new opportunities to grow and deliver more productivity beyond traditional services. 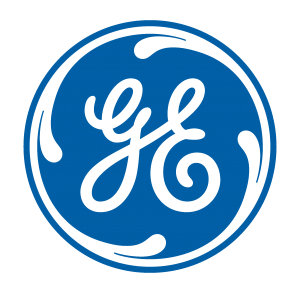 GE Aviation is becoming a digital industrial business with its ability to harness large streams of data that are providing incredible insights and in turn, real operational value for customers. With approximately $2.5 billion in assets under management and the additional current committed capacity to lend, Global Jet Capital has the expertise, financial strength, industry relationships, and infrastructure necessary to offer a variety of flexible leasing and financing solutions at the speed the market requires. We currently serve nearly all jurisdictions and have the capital and expertise to meet the needs of today's rapidly expanding and diversifying private jet owners and operators. Jet Aviation, a wholly owned subsidiary of General Dynamics (NYSE: GD), was founded in Switzerland in Basel, Switzerland in 1967 and is one of the leading business aviation services companies in the world. Close to 4,500 employees cater to client needs from more than 25 airport facilities throughout Europe, the Middle East, Asia, North America and the Caribbean. The company provides maintenance, completions and refurbishment, engineering, FBO and fuel services, along with aircraft management, charter and staffing services. Jet Aviation's European and U.S. aircraft management and charter divisions jointly operate a fleet of close to 300 aircraft. Avjet Corporation. Offering unsurpassed specialization in Gulfstream, Global Express and Boeing Business Jets, Avjet has earned the reputation as the leading global authority in the sales, charter and management of these extraordinary aircraft. They have a subsidiary AvJet Asia based in South Korea and a full service FBO in Pagosa Springs Colorado. A global leader in executive aviation, Jetex is recognized for delivering flexible, best-in-class trip support solutions to customers worldwide. Jetex provides exceptional FBOs, aircraft fueling, ground handling and global trip planning. The company caters to an elite clientele including owners and operators of business jets for corporate, commercial and personal air travel. To find out how you can benefit from Jetex’s award-winning services, visit jetex.com today. It was in 2005 at the Dubai Air Show that Jetex Flight Support announced its establishment. Today Jetex has 100 people working in its headquarters and over 300 staff members based globally. Now has five offices around the world, Dubai, Beijing, Shannon, Kiev and Paris. Aruba is an autonomous and self-governing state of The Kingdom of the Netherlands and an overseas territory of the European Union. Established in 1995, the Registry of Aruba was the first privately managed aircraft registration program rated Category-1 by the FAA, with regulatory framework in compliance with international standards. Aruba is an OECD white-listed tax-efficient offshore jurisdiction with an outstanding reputation that offers flexibility and value adding services; enhanced through the introduction of the Cape Town Convention and the registration of an aircraft through the election of domicile. Innovation continues in Aruba as we develop and grow our client services, offering the utmost qualified registration, certification, and inspection team; efficiently managing all the details involved when registering your private, corporate, and commercial aircraft. With a dedicated and experienced staff, our management and technical personnel are available 24/7 to offer personalized and effective service to meet all operational needs from day one. Our top priority is providing excellence in service and creating long lasting relationships with our customers. 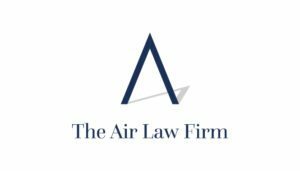 We pride ourselves in offering unrivaled boutique-appeal solutions preserving Air Safety First. UniCredit Leasing is one of the leading providers in financing business jets, turboprops and helicopters in Europe. Customers benefit from our in-depth knowledge of business aviation, procedures and contacts to key market Players. As a member of UniCredit Group, we offer immediate access to one of the biggest European banking groups. UniCredit Group has more than 8,100 branches all over Europe with strategic presence in Italy, Germany, Austria and the CEE region. UniCredit Group offers efficient proucts such as interest swaps and currency hedges that make your business aviation and helicopter financing even more predictable. We want to make the deal happen, which is why we dedicate a whole team to your aircraft transaction. On the UniCredit Leasing team we have top financing and aviation specialists with many years of professional experience in the industry. We base our aircraft financing on the customer, the aircraft, or both. No matter whether you are a high-net-worth individual, a multinational enterprise, a medium or small company, we strive to offer the right model to finance the aircraft that fits your needs. We believe that financing should be available for aircraft of any size, typically without private wealth requirements. AMSTAT is the leading provider of global business aircraft market information. Our services are designed to generate revenue and deliver competitive advantage to: aircraft brokers, dealers; finance companies; OEMs; fractional providers; FBOs; airports and parts suppliers active in the business jet, turbo-prop and turbine helicopter segments. Through accurate reporting on the worldwide fleet, resale market, new and used transaction activity, fractional market and aircraft values we enable our clients to work more efficiently and to generate new business every day. Asset Insight, LLC provides asset optimization solutions to support entities with a financial interest in an asset through valuations, analytics, audits, specialty services, and consultation, both nationally and worldwide. Insight to provide the most accurate, up-to-date valuations and Residual Value estimates. Avsurance is a single-source access point to a variety of aviation risk-management solutions. A subsidiary of Avfuel Corporation, Avsurance is focused exclusively on the aviation industry, providing coverage for fixed base operators, commercial flight departments, scheduled carriers, flight schools, regional airlines, freight/cargo haulers, airports, aviation products manufacturers, helicopter operators and more. The Avsurance team puts its industry expertise and skills to work to provide its clients with the most informed quotes on a variety of coverages, including, but not limited to, hangarkeepers’ insurance, worker’s compensation, hull and liability insurance, and environmental liability. Avsurance works with the most experienced aviation underwriters and well-established financial institutions to seamlessly support its customers. Furthermore, its customized insurance packages are regularly reviewed to ensure that coverage is comprehensive, from an aircraft to the hangar that stores it; and from the airport’s terminal to the employees that run it. Established in 1931, the Bermuda Civil Aviation Authority (BCAA) is responsible for the regulation and safety oversight of aviation in Bermuda and all aircraft on the Bermuda Aircraft Registry. Bermuda is a United Kingdom Overseas Territory and though it is regulated by the UK Department for Transport, the safety oversight system is separate from that of the UK. The regulatory requirements are established as the Overseas Territories Aviation Requirements (OTARs), which are in full compliance with the standards and recommended practices of the International Civil Aviation Organisation (ICAO). Bermuda’s Aircraft Registry is extensive and ranks 10th in size when compared to the 191 signatory States to the Convention on International Civil Aviation. The current Registry includes a mix of both private aircraft and commercial aircraft operated under Article 83 bis Agreements. With a wealth of experience and credibility in the global aviation industry, combined with unparalleled personal and responsive customer service, the BCAA team is uniquely positioned to meet your aircraft registry needs. Clyde & Co is a global law firm with a resolute focus on its core sectors of aviation, energy, infrastructure, insurance, marine and trade & commodities. The firm employs 2,000 lawyers in 46 offices in every global region, including Latin America, Africa, Europe, the US, Canada, the Middle East, Asia Pacific and the UK. Clyde & Co was named Law Firm of the Year 2016 by the UK legal publication The Lawyer. Clyde & Co has been awarded the coveted Who's Who Legal - Aviation Law Firm of the Year title for every year of the past decade. The firm has 100+ dedicated aviation lawyers across its international network with specialists in all aspects of the aviation industry. The Aviation Finance team at Clyde & Co is located primarily in London and Dubai. In 2016 the team won the prestigious Airline Economics 'Aviation 100' Awards 2016: Law Firm of the Year. The Civil Aviation Authority is the statutory body responsible for aviation regulatory (technical/safety and economic) oversight throughout the Cayman Islands and for aircraft registered in the Cayman Islands. The CAACI has full designation for safety oversight as a UK Overseas Territory. In addition, the Cayman Islands is classified as Category 1 by the USA Federal Aviation Administration under their “International Aviation Safety Assessments” programme that evaluates a country’s civil aviation authority’s ability to effectively regulate its aviation industry. This rating enables commercial air transport operators registered in Cayman to conduct international air transport operations, i.e., Cayman Airways, Ltd. The requirement for such rating lies with the CAACI being assessed as having technically qualified and appropriate administrative staff to effectively oversee the aviation industry in accordance with established standards and recommended practices of the International Civil Aviation Organization (ICAO). Our aviation teams in London, Moscow, New York, Hong Kong and the Middle East provide the focus for our global aviation services. Together with dedicated lawyers in each major jurisdiction, we have extensive experience advising on both local and cross border transactions to support our clients, wherever they do business. We advise on the acquisition, finance and leasing of new and used corporate jets, helicopters and yachts using a variety of structures and products including debt finance, Islamic Finance structures (including ijarah and murabaha) operating and finance leases, hire-purchase, conditional sale, structured tax-based financings, export-credit transactions, asset portfolio sales and purchases, leasing company acquisitions and residual value arrangements. Additionally, we advise on the enforcement of aircraft mortgages, lease terminations, the enforcement of aircraft mortgages, asset recovery and distressed sales, as well as advising on issues arising from the regulatory and liability environment of aviation. Our aim is always to provide the legal advice that fully supports our clients’ commercial objectives. We work with our clients to ensure that at all times we provide a high quality and cost effective service to assist you in managing your legal requirements and budgets. Over the years the team has worked on a wide variety of financing structures, which means that we can add value to any transaction on which we are instructed. We thrive on building long lasting relationships with our clients that are mutually rewarding. Every 10 seconds an Embraer-manufactured aircraft takes off somewhere in the world, transporting over 145 million passengers a year. Since its inception nearly 50 years ago, Embraer has boldly and consistently revolutionized the commercial, defense, agricultural and business aviation segments – and now, as one of the world’s leading aircraft manufacturers, Embraer also boasts the broadest portfolio of business jets in the market. Our beautifully designed, brilliantly engineered aircraft continuously blaze new trails, and when it comes to delivering the ultimate in value and customer experience, Embraer is in a class by itself. We take on our customers’ challenges and apply fresh, innovative perspectives to create solutions that enable our clients to outperform. That’s Embraer’s mission, and that’s what truly makes all the difference. Our world-class lineup of extraordinary business aircraft includes the entry-level Phenom 100, the trailblazing Phenom 300 light jet, the revolutionary Legacy 450 and Legacy 500 medium-cabin jets, the large Legacy 650E and the ultra-large Lineage 1000E. Embraer’s global business jet fleet exceeds 1,100 aircraft, which are in operation in more than 70 countries  all supported by the world’s No. 1-ranked product support team and more than 70 owned and authorized service centers. Embraer is a global company headquartered in Brazil with businesses in commercial aviation, defense and security, executive aviation, agricultural aviation and aircraft services and support. Our industrial units, offices, service facilities and parts distribution centers, among other activities, span across the Americas, Africa, Asia, Europe and the Middle East. Embraer Executive Jets’ expansive North American campus is located in Melbourne, Florida, and includes an ultramodern Global Customer Center, a 75,000-square-foot Engineering & Technology Center and state-of-the-art production facilities for the Phenom 100, Phenom 300, Legacy 450 and Legacy 500. At Guardian Jet we earn the right to buy and sell aircraft for the world’s largest and most sophisticated flight departments through providing industry leading consulting services. This approach leads to a deep understanding of our client’s operations as well as the culture of their company. Our consulting revolves around the financial, operational and transactional impact of the choices our clients make about the aircraft they fly. Guardian offers a wide variety of consulting services that focus on helping aircraft owners and aviation managers manage their assets more effectively. For over 100 years, Honeywell has been a pioneer in aerospace. Our wide range of products and services for the Business Aviation community includes Avionics, Cabin Management Systems, Satcom Connectivity Solutions, Engines and Airframe systems, Wheels and Brakes. Today, we continue to innovate. Through the evolution of the Connected Aircraft, Honeywell continues to deliver safer, more efficient, more productive and ultimately more enjoyable travel experiences. With GoDirect, Honeywell offers the industry's most complete portfolio of value-adding aviation services and applications. From hardware to apps to services, Honeywell provides solutions to optimize bandwidth and reduce data and operating costs while creating the best possible experience for your customers. Investec, comprising Investec plc and Investec Limited, is an international, specialist bank and asset manager that provides a diverse range of financial products and services to a select client base. Founded in Johannesburg in 1974, we acquired a banking license in 1980 and were listed on the JSE Limited South Africa in 1986. 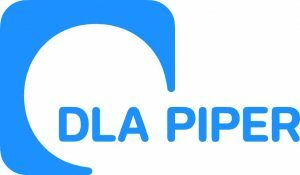 In July 2002, we implemented a dual listed companies’ structure with linked companies listed in London and Johannesburg. A year later, we concluded a significant empowerment transaction in which our empowerment partners collectively acquired a 25.1% stake in the issued share capital of Investec Limited. Investec’s global aviation team consists of 26 dedicated professionals with experience in banking, airline management, leasing companies, aeronautical engineering, law and accounting. We have extensive experience in the financing of both new and pre-owned aircraft for commercial airlines, leasing companies, corporates and individuals. Investec has financed over 360 aircraft to date and has teams in Johannesburg, London, Sydney, Dublin, Jersey and Guernsey. Investec Specialist Bank is recognised as a leading global aviation bank. We offer flexible solutions with a global focus and have extensive experience in emerging markets, including Africa. Investec has strong relationships within the local and international banking market, lessors, airlines, manufacturers and export credit agencies. Jetcraft is the leader in international aircraft sales, marketing and ownership strategies, managing and maintaining over 20 regional offices globally. 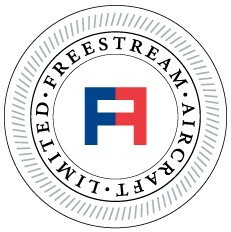 The company’s unparalleled success over more than 50 years in business aviation has earned it a world-class reputation, along with an exceptional customer base, a wide network of connections and one of the largest inventories within the industry. Luxaviation is one of the largest private aviation operators worldwide, currently managing more than 250 aircraft under the most stringent safety standards. The company’s commercial fleet is operated under the regulatory umbrella of 14 regional civil aviation issued air-operating certificates (AOCs). Luxaviation manages 25 world-class FBO facilities and 15 maintenance centres worldwide, certified to work on most business jets. Luxaviation currently employs more than 1,700 employees worldwide. Further information: www.luxaviation.com. Mesinger Jet Sales is a family owned, boutique aircraft brokerage firm in business since 1974, with a sales pricing formula that is constantly being adapted to an ever-fluid marketplace. For acquisition clients our thorough analysis of the market and specific aircraft’s value provide the confidence needed to move forward with a purchase in any market condition. We have incredible depth, global relationships and transactional, financial, market research and technical expertise to successfully facilitate our clients’ transactions. Transparency, process, negotiating expertise, forward-thinking intelligence and an unwavering commitment to protecting our clients’ best interests are just some of the things that set us apart. When engaged we are hired on an exclusive basis, we are paid directly and only by our clients and we never represent a buyer and a seller of the same aircraft. This means that we are 100% transparent and our interests stay 100% aligned with our clients’ interests. QS Partners is an aircraft sales, brokerage and acquisitions company, based out of Boulder, Colorado. As a subsidiary of NetJets Inc, we have a global network of resources, strategic market insights and unparalleled capital strength, which allows QS Partners to deliver custom solutions to our clients worldwide. Our Managing Partners and Sales Executives include some of the most experienced, respected professionals in our industry; well known for their competence, insightful advice and integrity. Our promise is the application of our combined strength, developed over literally thousands of aircraft transactions, to the achievement of successful results for our clients. 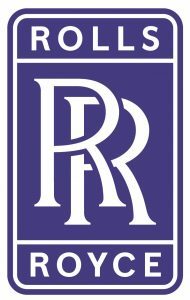 Rolls-Royce designs, develops, manufactures and services integrated power systems for use in the air, on land and at sea. We are one of the world’s leading producers of aero engines for large civil aircraft and corporate jets. We are the second largest provider of defense aero engines and services in the world. For land and sea markets, reciprocating engines and systems from Rolls-Royce are in marine, distributed energy, oil & gas, rail and off-highway vehicle applications. In nuclear, we have a strong instrumentation, product and service capability in both civil power and submarine propulsion.